Mr. Peter Tillotson, an English architect, submitted the selected Temple design. Mr. Robert McLaughlin was appointed Architectural Consultant to the Universal House of Justice for the building of the Temple. He and Mr. Tillotson visited the site together, and worked in close cooperation to complete its construction. 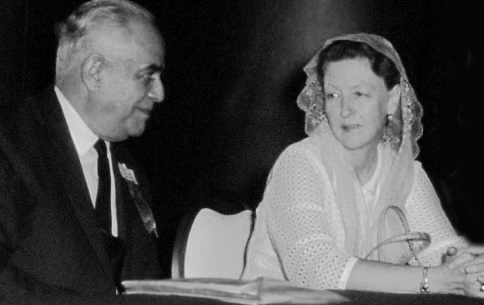 The Hands of the Cause of God, Amatu’l-Bahá Rúhíyyih Khánum, and Jalál Kháḍih (also transliterated ‘Jalal Khazeh’) represented the Universal House of Justice at the Intercontinental Conference held during October 1967 in Panama. 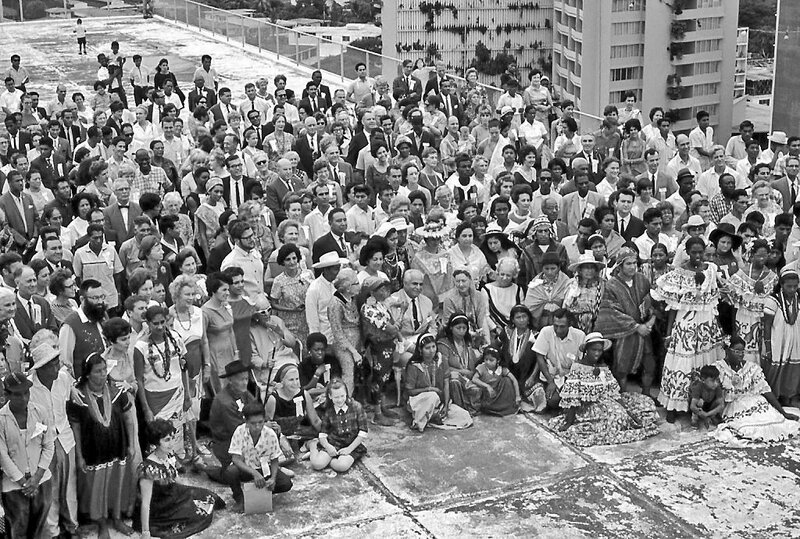 They are seen seated at the of center of the above photograph taken on the roof of the Panama Hilton Hotel, and at right seated at the representative’s table in the hotel’s conference hall where most main events were held. Because the conference hall was limited in size to the number of attendees it could host for extremely large events like this one, various other facilities were available at various locations where additional events and activities were held to ensure that all those attending the intercontinental conference were accommodate. 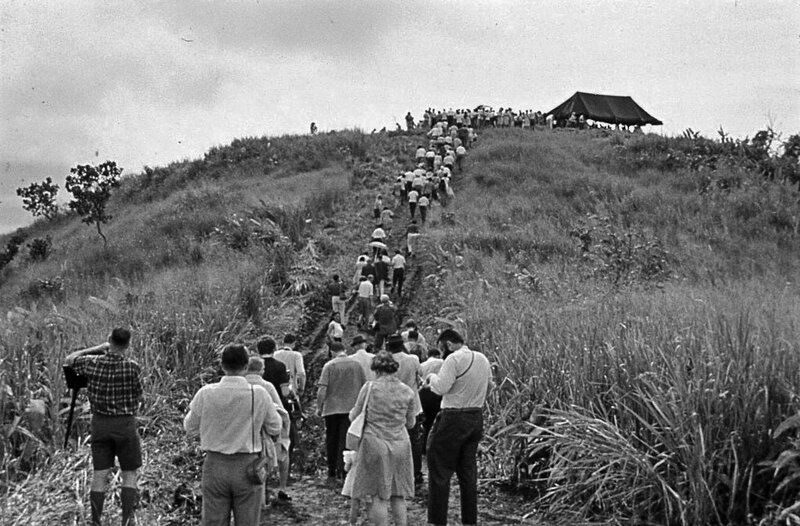 After arriving by bus from the pickup location, with great expectation the conference attendees proceed up the hill to the Temple site. Hand of the Cause of God, Amatu’l-Bahá Rúhíyyih Khánum, with meticulous care completes special preparations for the cornerstone. Soil taken from the Holy Tombs is placed inside a container specially selected for this purpose, rapped in a silk kerchief, and then placed inside the cornerstone. This act is spiritually significant because each Baha’i Temple carries within its cornerstone this symbol of unification that links each edifice together in unity with the Holy Land. Note: The term used when referring to a Baha’i House of Worship: Mashriqu’i-Adhkar (Arabic: “Dawning Place of the Praise of God”). Also known as ‘Temple’, and its surrounding dependencies. 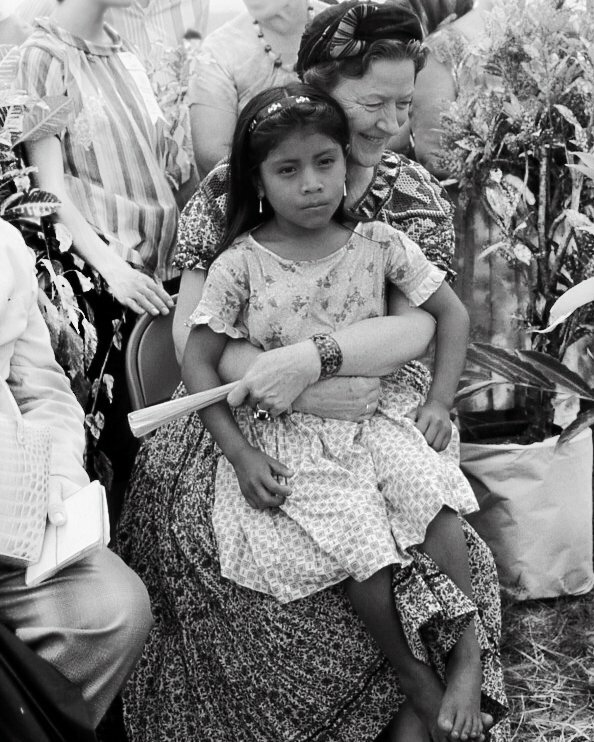 The Amerindian population in Panama includes seven ethnic groups: the Ngäbe, Kuna (Guna), Emberá, Buglé, Wounaan, Naso Tjerdi (Teribe), and Bri Bri. The degree that these groups were represented at the intercontinental conference is not known. But based on conference notes there were Chibchan, Chocoan and Cueva peoples in attendance. Still others of indigenous heritage arrived from countries in Central America and South America, and from as far west as Mexico. Based on the earliest discovered artifacts, the indigenous groups of the Isthmus of Panama may trace back to the Paleo-Indian population (15000 – 7000 B.C.). 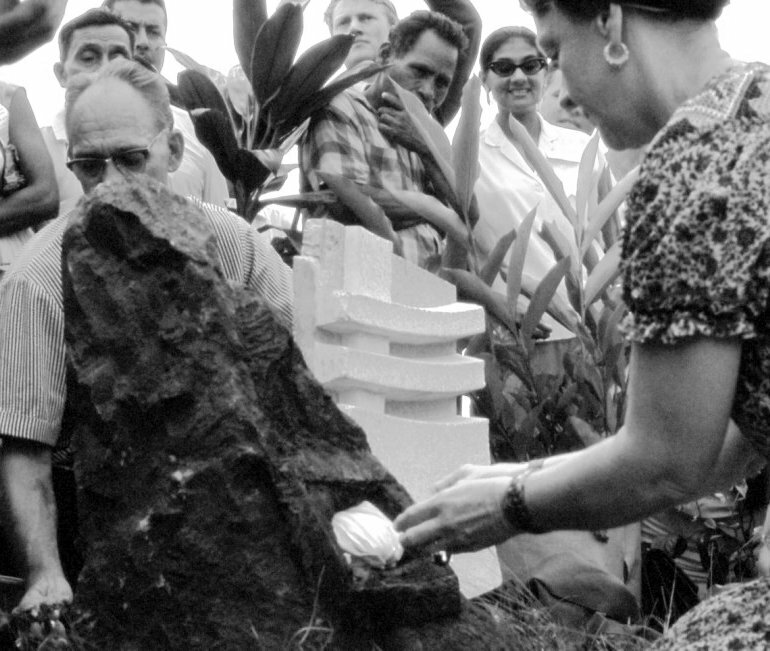 In any case, as Baha’is, and of indigenous heritage, their spiritual connection to the past and to the present is profound, and portends a future filed with remarkable regional spiritual outpouring. 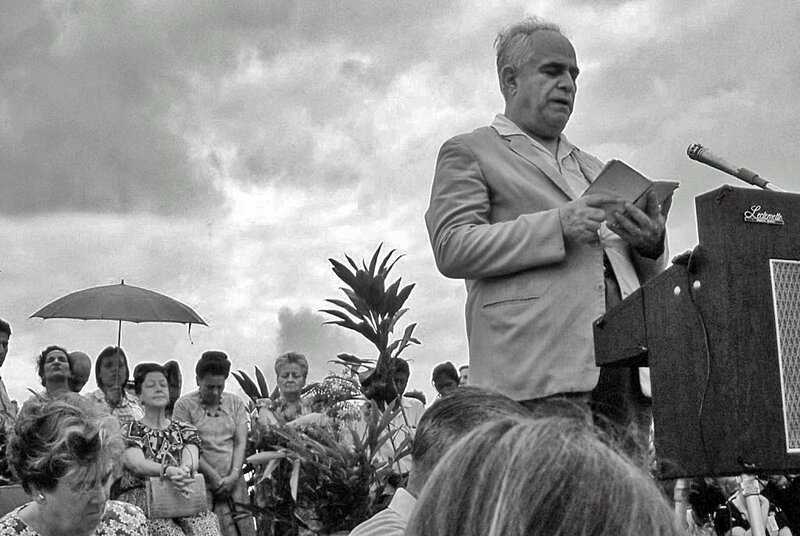 Hand of the Cause of God, Jalál Kháḍih, delivers a prayer at the ceremony dedicating the cornerstone for the Panama Baha’i Temple. Conference attendees gather on the roof of the Panama Hilton Hotel for photographs. Click on this link to read the original Intercontinental Conference Program. Note: The program contains names of representatives to the conference that reflect membership on various Baha’i institutions from various countries. This may be of interest to researchers compiling historical background information on early believers to profile their Baha’i activities. The pdf file may be slow loading.